Recon and infantry Marines only have been zooming around in the Corps’ Polaris MRZR all-terrain tactical vehicles for a couple years now, but the Marines already are on the hunt for a replacement. 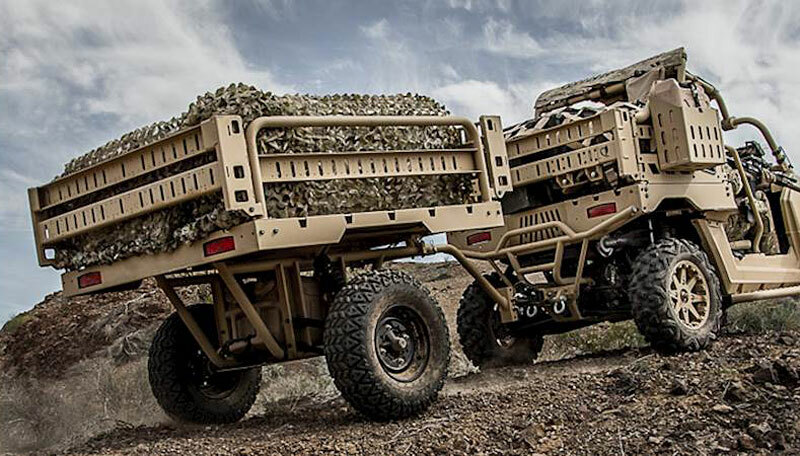 According to a request for information posted by the Corps on Friday, the Marines want a new ultralight tactical vehicle with characteristics strikingly familiar to the MRZR. The Corps wants a highly mobile all-terrain light tactical vehicle capable of whisking wounded Marines off the battlefield, easily configurable to support a host of missions like electronic warfare, and internally transportable by CH-53 and MV-22. The Corps already has this capability in the Polaris MRZR. The Marines already have doled out nearly 248 of the all-terrain vehicles to infantry and recon Marines over the past couple years. The first batch of MRZRs were issued to the grunts in early 2017. But the life expectancy of the MRZR, or utility task vehicle, is only five years: “Therefore the Marine Corps is initiating research efforts to see what industry will have available that may meet the Corps' needs,” Manny Pacheco, a spokesman for PEO Land Systems, told Marine Corps Times in an emailed statement. Don't quite get this. The Marine Corps just got these vehicles into service and if there are any improvements that they need to make them perform the mission better than I'd bet Polaris would happily make them. No need for a new solicitation, just sole source the thing and keep it moving. Additionally I'm not sure the Marines have fully exploited the capabilities of the ride today. Supply lines are setup, interoperability is there with the Army and Special Ops. If it ain't broke don't fix it. Just mod the thing for Marine Corps specific use and call it the Marine variant. Hell I bet Polaris would love to sell the civilian version and I'd bet a bunch of farm boys would gobble it up.